Atheism, in a nutshell, is said to be the rejection of any belief in the existence of a deity or multiple deities. Atheism has always seemed to me, to be an extremely unintelligent argument put forward to explain our reality and existence. Ironically, even though it is a form of belief, atheism seemingly assumes a position that sets itself apart from belief systems by identifying itself as “the belief in no belief”. . . Is this not still a belief system? Isn’t it just like any other religious or non-religious belief system which are based on a set of principle truths which lack proof or any direct experience of the facts? Just because we can’t prove the existence of God or Gods, does that therefor mean that they do not exist? In my view there is no difference between believing in god/s and not believing in god/s when we are void of any evidence for either argument. Both views deny the fact that we simply don’t know for sure. Interestingly enough, throughout history many of the most admired minds have not only been scientifically inclined or natural philosophers (as the culture of inquiring thinking was described before the advent of the modern scientific method) but they were also believers in a force greater than mankind, be it described or interpreted as supernatural, spiritual or religious. More interestingly, many of them had what may have been considered odd or eccentric views of religion which often weren’t in consensus with the views of the general populous and the authorities. 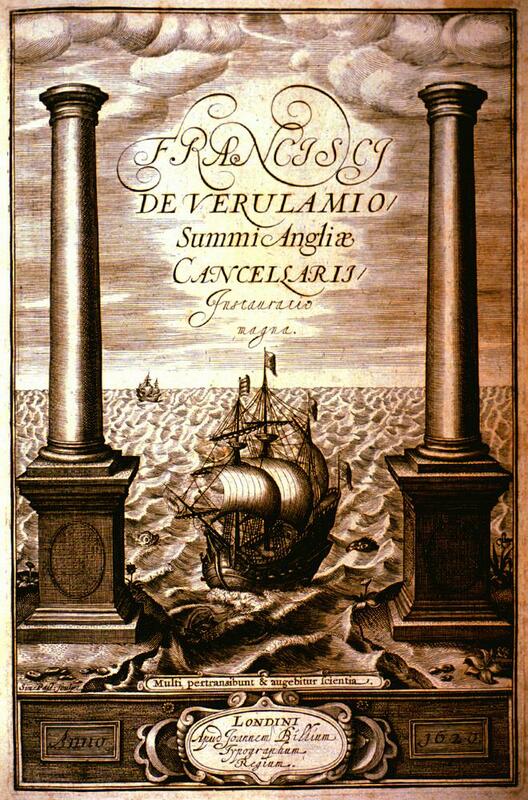 The frontispiece to Sir Francis Bacon’s Instauratio magna (Great Instauration) of 1620 depicts a ship sailing through two classical columns into an open sea; it symbolizes moving beyond the limits of classical (i.e., ancient Greek) scholarship into a realm of potential unlimited natural knowledge. Francis Bacon, considered to be one the most brilliant scientific minds of his time wrote an intriguing essay on the subject of Atheism. Considering he was one of the first scientist, without knowing anything about him one could easily think that he may have been an atheist as he was a man of logic and rationale but from his writings it can be suggested that this is far from the truth regarding the inner world of the beliefs of Francis Bacon. Of Atheism is a wonderful exploration into the reasons behind why atheism exists and under what circumstances it tends to flourish or become unpopular which lends insight into the nature of the human mind through it’s relentless search for meaning or truth in the world, be it through religion or science. Here Bacon expresses his view of the limitations of Atheistic ideas and how continual philosophical questioning brings one to the enevatable pondering of the possible existence of a higher force working with an intelligence which exists unseen in the world. It seems to be a greatly forgotten irony, as people relate to atheism as intelligent, scientific and rational and yet one of the founders of scientific thought and many of his colleagues were in no way atheistic. Bacon sees Athiesm as a shallow theory as he describes it as existing only ‘in the lip’, as if to say it’s “all talk” and lacking in depth. I find it quit enlightening how he points out that atheist seems to wish to convert others into the belief of no belief. He exposes the irony in this by basically asking – if you have no belief then why would you bother to spread your opinion to others? Why would one who beliefs in nothing be so eager to convince others of the same? In this Bacon shows the parallels between religion and atheism as both of them are beliefs in a specific world view. Bacon reflects upon what he views as the causes of atheism and for me the most interesting cause he notes is the last one where he states that in times where in a society peace and prosperity reign atheism flourishes, and he adds that through times of adversity is when men traditionally turn to religion for understanding and hope. Reflecting on this point I can see how it is suffering that brings people to a desire to know why they exist and who or what has created them. Suffering seems to bring humanity back to the reality of our delicate nature and with this the realisation of our finite mortality is forced to the surface through times of struggle and turbulence. Comparing mans knowledge of a higher force to the knowledge a dog has of his master, Bacon perfectly illustrated the fact that without knowledge of a greater intelligence than mans own intelligence, man is but a dog in the wilderness without a master. He is like a wild animal which has no understanding of higher forms of existence and no guidance from a more intelligent creation than itself and therefor is ignorant of the extent of it’s own possibilities. Bacon suggest there is a higher force which man is entitled to attain but without the knowledge of and engagement in the divine, however it may interpreted, man’s nature is incapable of attaining that higher power which propels it into higher forms of culture. Considering atheism from this aspect he sees it as a system which deprives man of his birth-rite, or as Bacon puts it – means to exalt itself above human frailty. Francis Bacon believed atheism to be of detriment to human and societal development. As a founder of the modern scientific method which has propelled our world into the technological age we call the 21st century surely when he spoke of attaining exaltation above ordinary human life, he spoke from experience, an experience which guided him to achieve so much of what he achieved. If he believed it was engagement with a higher force that drove him to take the steps he took in life then we can say that behind the man Francis Bacon was a Divine Force helping him achieve exaltation and contribution to bettering the destiny of human kind. A philosopher, statesman, scientist, jurist, and author who is known as one of the founding thinkers and practitioners of the modern scientific method. His demand for a planned procedure of investigating all things natural marked a new turn in the rhetorical and theoretical framework for science. Along with Isaac Newton, Francis Bacon is one of the more well known of the ‘first scientists’ who it has been alleged had connections to varies secret occult societies and organisations. A number of writers, some of whom were connected with Theosophy, have claimed that Francis Bacon (22 January 1561 – 9 April 1626), was a member of secret societies with a smaller number claiming he had attained the Ascension and became the Ascended Master Saint Germain.